When Liat meets Hilmi on a blustery autumn afternoon in Greenwich Village, she finds herself unwillingly drawn to him. Charismatic and handsome, Hilmi is a talented young artist from Palestine. Liat, an aspiring translation student, plans to return to Israel the following summer. Despite knowing that their love can be only temporary, that it can exist only away from their conflicted homeland, Liat lets herself be enraptured by Hilmi: by his lively imagination, by his beautiful hands and wise eyes, by his sweetness and devotion. Together they explore the city, sharing laughs and fantasies and pangs of homesickness. But the unfettered joy they awaken in each other cannot overcome the guilt Liat feels for hiding him from her family in Israel and her Jewish friends in New York. As her departure date looms and her love for Hilmi deepens, Liat must decide whether she is willing to risk alienating her family, her community, and her sense of self for the love of one man. “[All the Rivers] ought to be read like J. M. Coetzee or Toni Morrison—from a distance in order to get close.”—Walla! 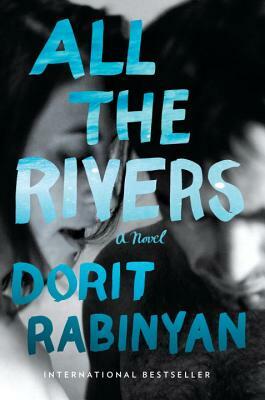 Dorit Rabinyan is the bestselling author of the acclaimed Persian Brides and Strand of a Thousand Pearls. She is the recipient of the Itzhak Vinner Prize, the Prime Minister’s Prize, an ACUM award, and the Jewish Quarterly–Wingate Prize. All the Rivers, originally published as Borderlife, was named as a book of the year by Haaretz and awarded the prestigious Bernstein Prize. In January 2016 it became the center of a political scandal in Israel when the Ministry of Education banned the book from the high school curriculum. All the Rivers has been translated into seventeen languages. “[All the Rivers] ought to be read like J. M. Coetzee or Toni Morrison—from a distance in order to get close. We might be born Montague or Capulet, but we can choose not to be part of the tragedy.”—Walla!